The 61-page report, which can be downloaded from here, is a collection of more than 200 trends that are defining design across the globe. The report is organized into three sections—Work, Lifestyle, and Cities—and is framed by five forces that Gensler sees as having the greatest impact on businesses, cities, and human experiences: demographic shifts, technology driven disruption, rapid urbanization, climate change, and worldwide volatility. Throughout the report, Gensler draws upon its own research and portfolio of projects to illustrate trends across myriad typologies. Each of the report’s chapters provides statistical tidbits from a variety of sources that call out trends and dynamics that AEC firms and their clients can’t ignore. •From 2017 to 2027, it’s predicted that the U.S. will face a shortage of 8.2 million laborers—the most significant deficit in the past 50 years. 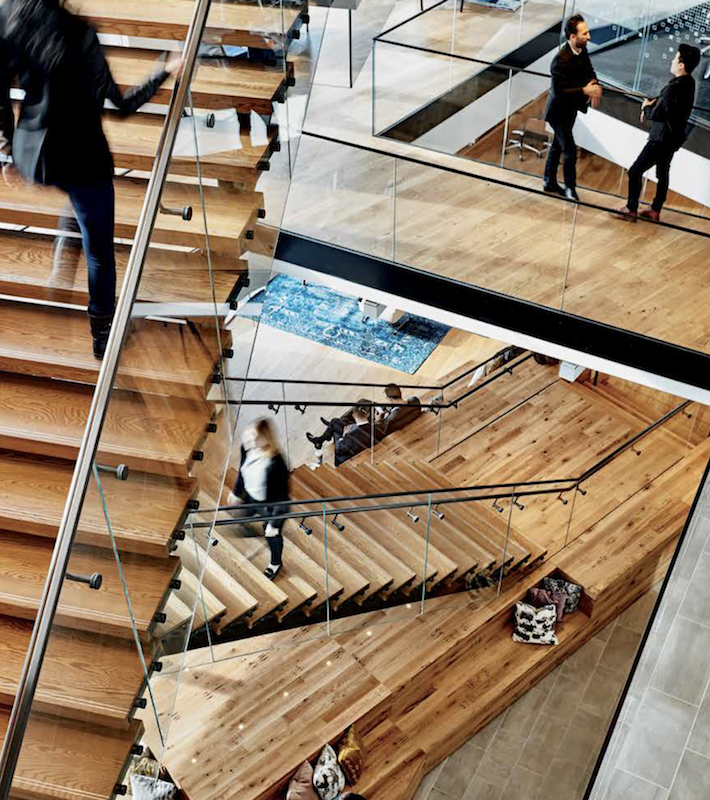 “To succeed, organizations must put people first: investing in the individual, diversifying work spaces, and reinforcing a shared culture and mission,” states Gensler. •“By 2020, 31 billion devices and 4.8 billion people will be connected to the Internet,” according to the research firm Gartner. •Global coworking spaces will grow from 14,411 in 2017 to over 30,000 in 2022. The number of worldwide coworking members will nearly triple to over five million. •Credit Suisse predicts that as online sales march toward 35% of all retail sales by 2030 (from 17% today), between one fifth to one quarter of American malls could close by as early as 2022. Lifestyle design is now reckoning with trends that are making single-use spaces obsolete. Frictionless, seamless design is becoming ubiquitous, with convenience being a differentiator, as consumers take more control of their experiences in ways that shape, and reshape, brand identities. Gensler sees “smart cities” in terms of their adaptability and resilience. As engines of innovation, cities “are nurturing a new mix” of businesses and people. Their leaders are in the vanguard of climate action “because they depend on it” for survival and growth. And wellness is the new measure of livability. “Health has become a major factor in urban and community planning, as research and public awareness about the link between them grows,” the report states.